Other than vacpot (aka syphon), hand pour is another very popular coffee preparation method in Asia. In fact, it is the preferred method for non-espresso brewing method in Japan. I've been wanting to try out this method for quite some time as I was told it made a different cup profile than vacpot. However, I never follow thru as I am intimidated by the various methodology and tools it required. I was also told it is a very technique-dependant method and can be quite inconsistent from operator to operator. I first notice this little coffee gadget from mojocoffee's website. I was intrigued by its simplicity and promised ease of use. It's basically a pour-over cone with a stopper valve - you get the cleanness of the drip cone with full extraction of a french press. Best of all, it is stupid simple to use, very consistent, and takes less than 2 min from brewing to clean-up. I made a request with my brother who is currently vacationing in Taiwan, and couple weeks later I got the unit delivered to my door. Upon opening, I was quite impressed with the packaging. The graphic design is very well done (no "AS SEEN ON TV" style packaging here). Coupled with the high quality plastic (medical grade imported from Japan), it really made the unit felt substantial. The design of the unit is very simple. It is basically a drip cone with a tiny plunger at the bottom of the unit. The plunger is connected to a plastic disk/ring. When the dripper is placed on its legs, the plunger will sealed the drip hole due to the weight of the plastic disk. When placed on top of a cup, the rim will push the disk up, lifting the plunger, and allow coffee to pass thru. The concept is so simple yet it worked so well. 1. Place paper filter in the cone. If desired, run some hot water thru to "wash" away paper taste. 2. 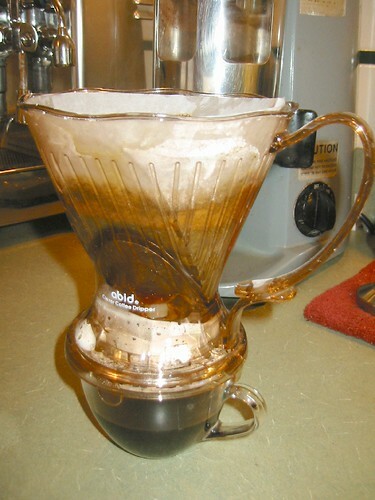 Add coffee to the dripper. I use 32g per a full dripper brew (~ 12oz, ending w/ ~ 8oz of coffee). 3. 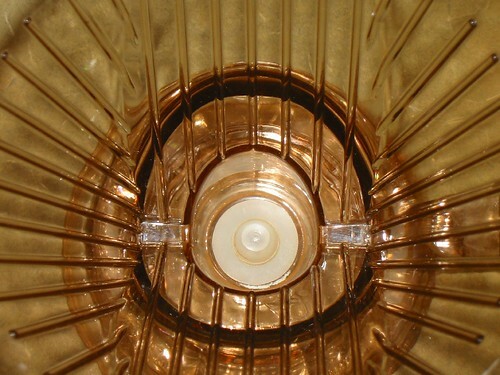 Add hot water (198~202F, depends on the coffee) to the dripper. Make sure the grinds are well agitated. Stir if necessary. 4. Wait 1 min. Stir to break-up the crust. 5. Place the dripper on top of cup and let it drain. The drip time is roughly 60~90 seconds depending on the grind fineness. That is it. Clean up involved tossing away the paper filter and rinse the dripper. You get a cup that is aromatic, full flavored, and clean with a total dwell time of roughly 2 min (+ 60-90seconds of drain time). 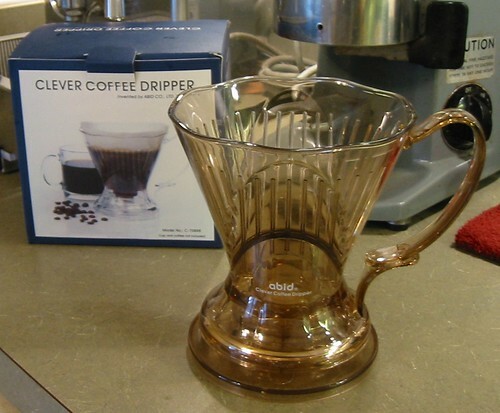 "Clever" coffee dripper is clever indeed.